Looking at staying here. How much is it for air conditioning and safety deposit boxes. Also how much for a mythos please? We have recently booked the Amaryllis for 2 weeks at the beginning of August. We have read numerous fantastic reviews, but still unsure as, you always are when it's new! 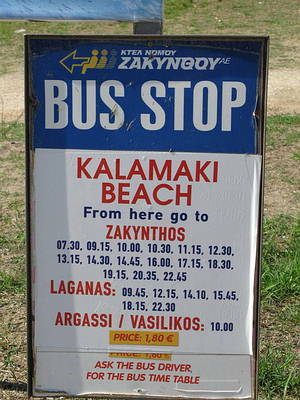 we've visited Kalamaki various times before, but never stayed here. Could anybody give me some information? We have booked for 2 adults, 2 girls aged 15, and a boy aged 12, is it a suitable entertaining hotel for them??? Thanks for any advice and tips! Hello, I have booked this holiday for me and several friends in the 21 year old bracket, have I made a sensible choice? We will be looking to commute from the hotel into Laganas every evening. Can anyone offer advice? Thanks, Steve Figures. We have stayed here years it is a lovely place to stay,friendly helpful owners and fantastic staff.Very clean and well kept.Ample sun beds by the pool.Good for young families,groups and the not so young too.We will be staying again on Sunday 17th June 2012.Keep me a nice cool Mythos please,really looking forward to being in Kalamaki again. Hi I have been looking for a holiday next may, and fancy the Amaryllis , my question is the dates I want to go are on fri 18th may - fri 1st June how hot will it be? will it be warm enough for pool and sea?? Also we are a family of 4 my boys are 17 and 11 would I be better off paying extra for 2 bed apart than the 1 or will there be enough room in the 1 bed. Haven't been to zante for 7 years so was also wondering how much it is to eat etc. Many thanks!!! DIANE,JUST RETURNED FROM AMARYLLIS APARTHOTEL TODAY 25 JULY.SAFETY DEPOSIT BOXES COST 17 EUROS PER WEEK.AIR CON 60 EUROS PER WEEK ADDITIONAL DAYS 10 EUROS.120 EUROS FOR FORTNIGHT.HOPE THIS IS OF HELP. My boyfriend and I are staying at the Amarylis for 2 weeks from 19th June. 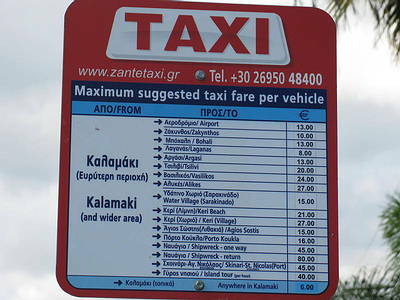 Does anyone have any tips on good things to do whilst in Zante? How far is the beach from the apartments? How much are the safety deposit boxes and the air conditioning? Any useful information would be great. Hi Rob, Kalamaki has sooooo many good restaurants and bars it's hard to choose the best but Drunk Corner can be lively, as can many other bars on the strip at that time of year. As for restaurants, again, too many to list but many faves are Buon Amachi for Italian, Dias, heavans kitchen etc...for local quisine, to a few chinese/inidians. I'm at the Amaryllis from the 17th June so might see you there. We are booked to stay at the Amaryllis in late June and can anyone reccomend the best restaurants and bars to visit during our two week stay? I am a fun loving fifty year old with a wife who is just a bit younger and like bars with music and quizzes NOT BINGO and tavernas and restaurants with a bit of atmosphere. Certainly don't do old folks things. We have been holidaying in Kalamaki for a fair few years but never stayed this far up, we def were not disapointed. The hotel is very clean and well kept. The rooms themselves were spacious and got cleaned 6 days out of 7. All the staff were so very friendly and helpful. The Kids disco on a thursday evening was entertaining, the kids had a fab time! All in all one of the best hotels we have stayed in at the resort. Would def recommend to familys. Only small downside was that the air con was exspensive compared to other hotels that we had family staying in. Last minute packing to go to the Amaryllis tomorrow - do I need to take a kettle or is there one there? Been so often and had to use a saucepan! I have just returned to the UK after spending two weeks at the Amaryllis and had an absolutely fantastic time. The rooms were basic but perfect for our needs and all the pool and communal areas were kept well. I went as part of a small group of friends (all 22 year old lads) and we found that part of what made the stay at the hotel so pleasurable was the friendliness of the all the staff, in particular Pamas, at the bar, who was an absolute hero! Machi the entertainer was fantastic with all the kids staying at the hotel and the owner (whose name escapes me) couldn't have been friendlier. I would recommend the Amaryllis as a great place to stay, in a great location.